A widely anticipated catch-up rally with last week’s regional gains did not materialize despite positive progress by BN to burnish Malaysia’s democratic credentials and abolish the controversial security and media laws. The FBM KLCI disappointedly tumbled 1.2% or 17.8 points to 1413.1, along with foreign selldown in the regional markets amid rumours that Greece will default this week and a regional election defeat for German Chancellor Angela Merkel. Lagging movers were SIME (-30 sen to RM7.70), DIGI (-146 sen to RM30.50), PETGAS (-96 sen to RM13.72), AXIATA (-11 sen to RM4.68) and CIMB (-8 sen to RM6.90). 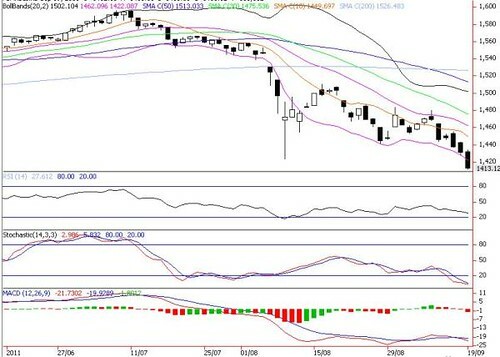 We reiterate that Bursa Malaysia short term outlook to remain bearish as the KLCI continues to trend below the 10, 20, 30, 50, 100 and 200-day daily SMAs, despite its oversold indicators. Unless KLCI can violate the 10-d (1449) and 20-d (1462) SMAs resistance decisively, it is bracing to re-test the 1400 crucial psychological support. 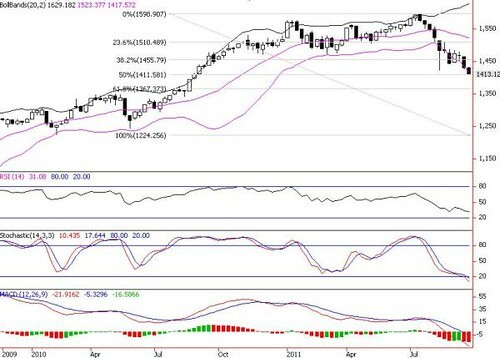 If the 1400 is broken, KLCI could consolidate lower towards 61.8% FR or 1367 points in the medium term. 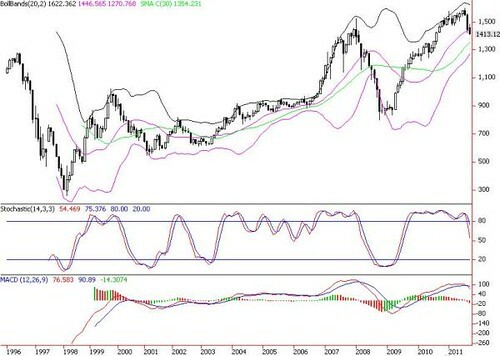 Meanwhile, monthly MACD & RSI indicators remain bearish.